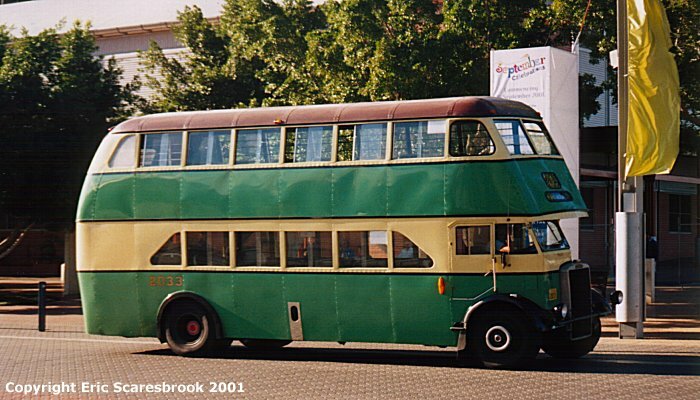 This page features preserved buses and buses that have been withdrawn from service and are not divided into operator or former operator groups. 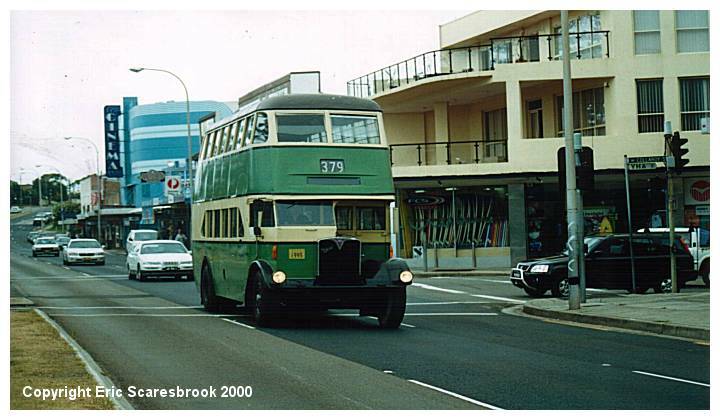 Preserved double decker Government bus 1995 unexpectedly heads towards Mona Vale as it passes through Collaroy on 30 December 2000. 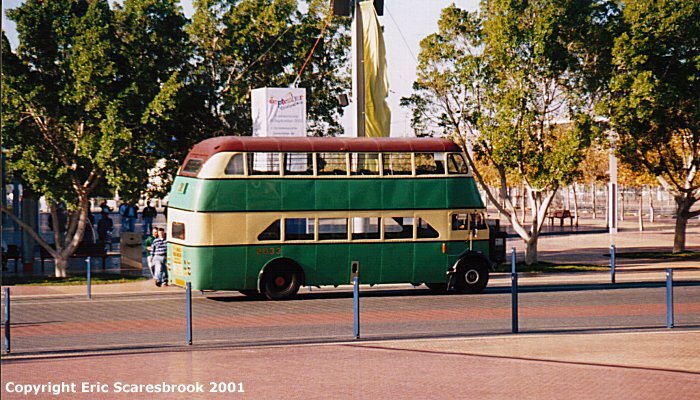 This bus is housed at the Sydney Truck and Bus Museum at Tempe. 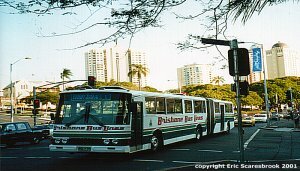 Outside the Tempe Truck & Bus Museum are several former State Transit, Parramatta/Ryde Bus Service & North & Western buses stored awaiting new homes. 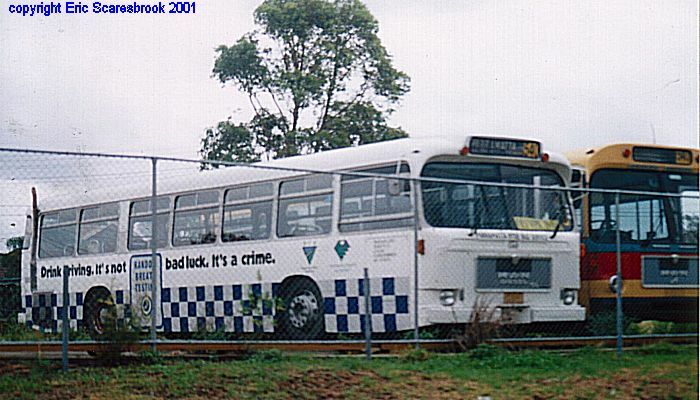 This former Parramatta-Ryde Bus Service MAN advertising NSW Police Random Breath Testing is one example (with more to follow). 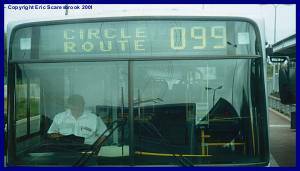 28 January 2001. 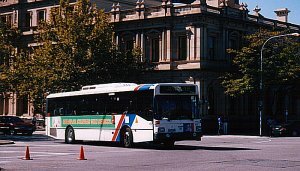 Preserved double decker Government bus 2033 unexpectedly (as far as I am concerned) waits at Sydney Olympic Park, 27 May 2001.